SecureNinja's CompTIA PenTest+ (PT0-001) training and certification boot camp in Washington, DC and San Diego, CA is like no other PenTest+ exam preparation class available. SecureNinja’s Team is widely known as the world’s leading instructors for CompTIA exam preparation. We'll not only give you the knowledge to pass the exam but you will return to the job with real-world skills you can apply right away, maximizing your training investment. You will benefit from our extensive knowledge base as we teach you proprietary tips and tricks for exam-passing success. 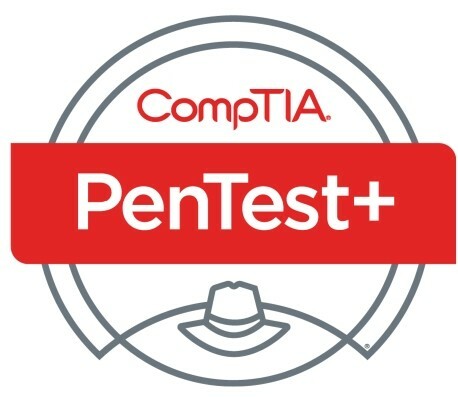 The CompTIA PenTest+ certification is an intermediate-level, vendor-neutral credential which verifies that successful candidates have the knowledge and skills required to plan and scope an assessment, understand legal and compliance requirements, perform vulnerability scanning and penetration testing, analyze data, and effectively report and communicate results. This CompTIA certification was released in July 2018 to fill a gap between the foundational-level CompTIA Security+ exam for those with about 1 year of IT security experience and the advanced-level CompTIA Advanced Security Practitioner (CASP) for those with at least 5 years of IT security experience. PenTest+ is unique because the certification requires a candidate to demonstrate the hands-on ability and knowledge to test devices in new environments such as the cloud and mobile, in addition to traditional desktops and servers. The certification exam is challenging with both hands-on, performance-based questions and multiple-choice, to ensure each candidate possesses the skills, knowledge, and ability to perform tasks on systems. The PenTest+ exam also includes management skills used to plan, scope, and manage weaknesses, not just exploit them. If you are an IT professional hoping to progress in your career and enjoy the challenge of the hands-on security audit and assessment, then the CompTIA PenTest+is one of the most valuable certifications available.